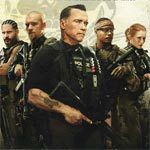 Sabotage could’ve been better and Schwarzenegger, who wasn’t that bad, was kind of mis-cast with someone like a Russell Crowe probably being better suited for the role. However, the action scenes were well choreographed including the final chase sequence and despite having mostly despicable characters, I still managed to be slightly entertained and engaging, plot holes and all. Paranoia is the latest exercise in mediocrity despite having a few very talented actors attached. The story is clichéd filled and the performances, again despite the talent, are at best phoned in. It’s not a terrible film and as passable entertainment might be worth a whirl (rental), but otherwise pass it by. Season six gives viewers tons of answers and left me with a satisfied feeling. While I still think we should have gotten a few additional episodes to space out the pacing a bit, at least we got a proper conclusion.